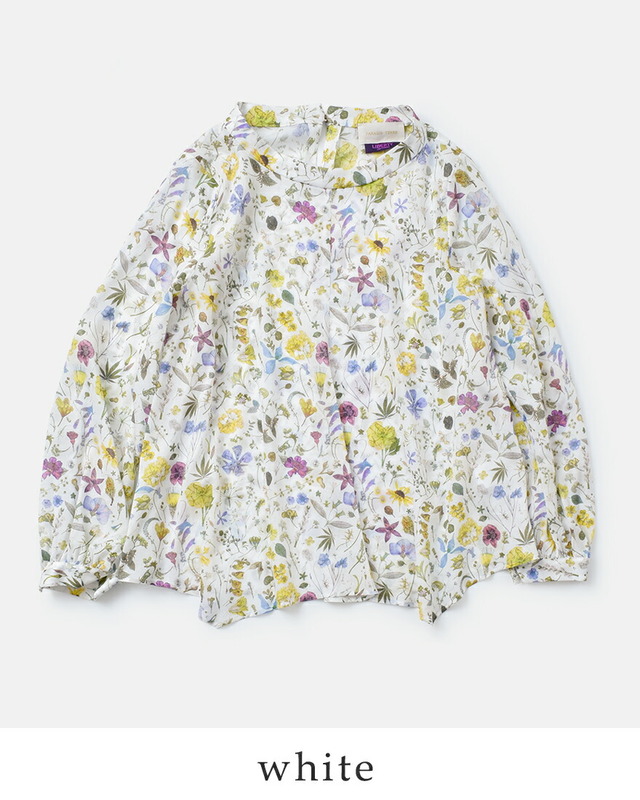 About washing Using a washing net, please wash it with a synthetic detergent. 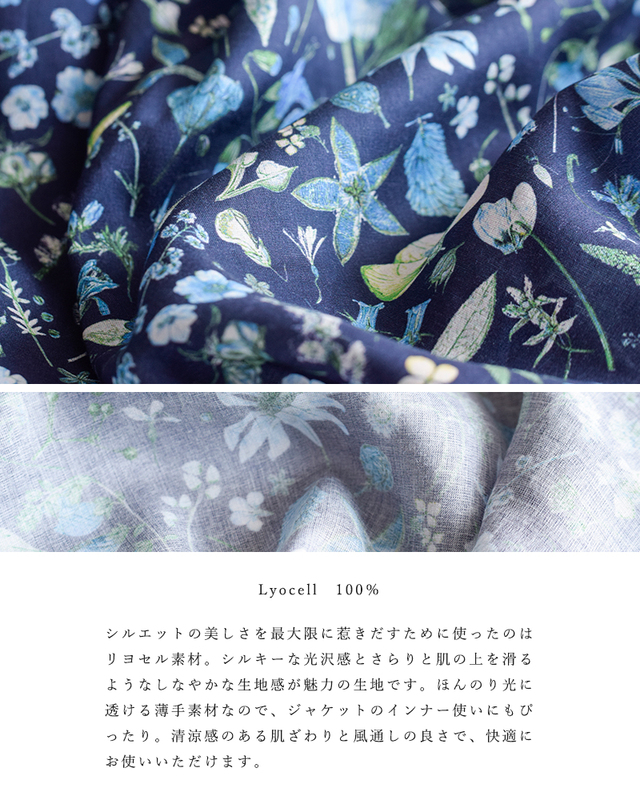 The iron, please use expectation cloth. 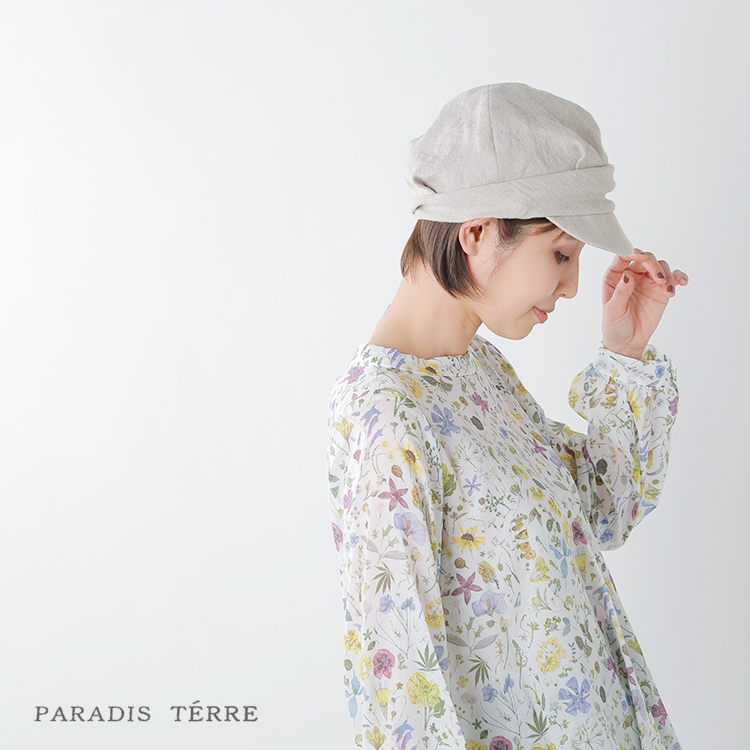 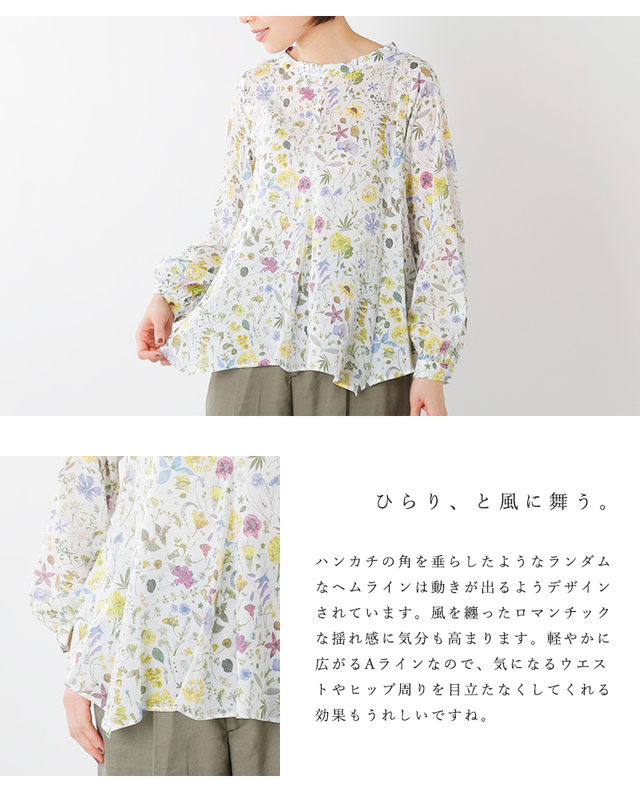 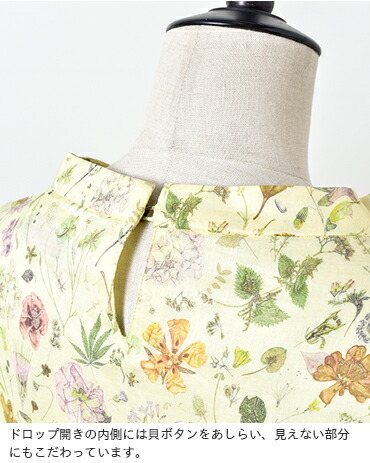 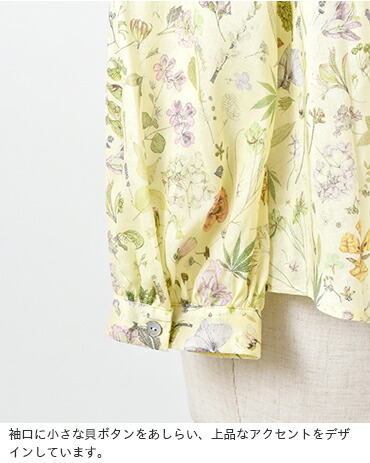 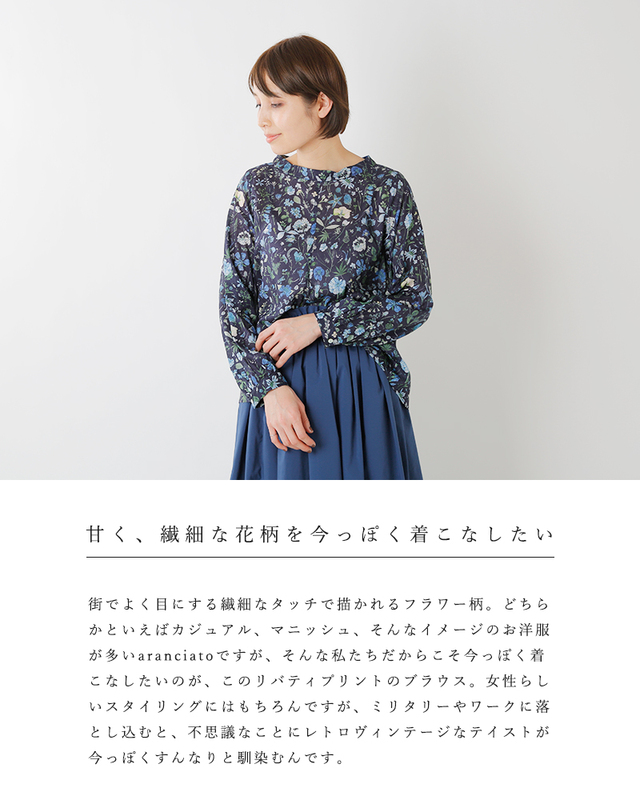 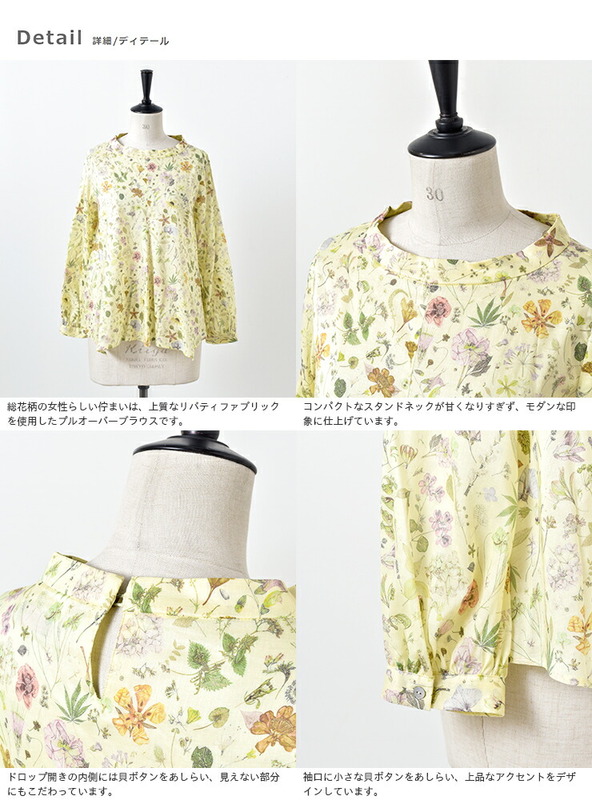 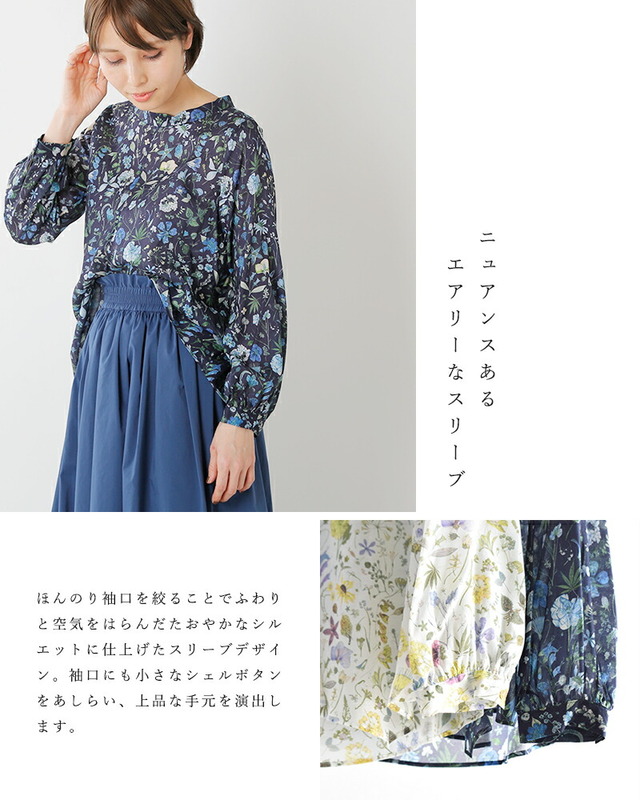 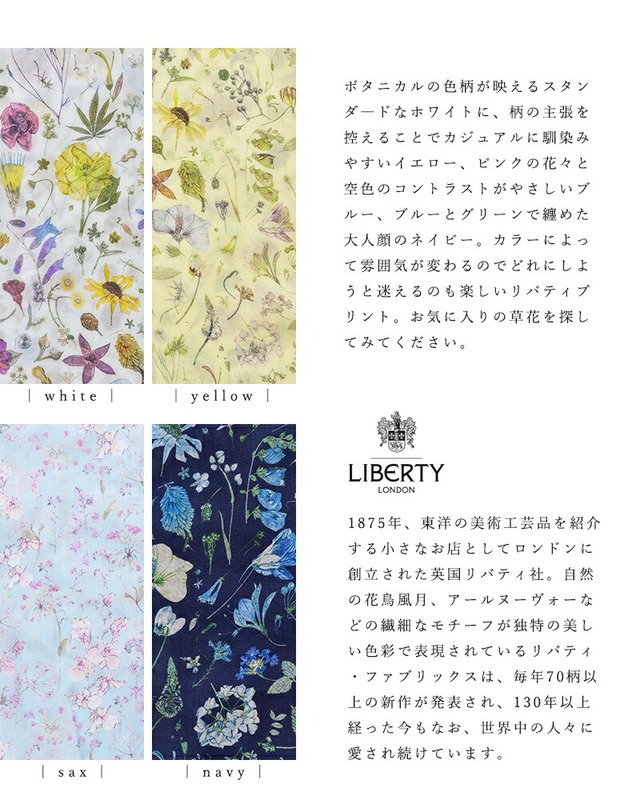 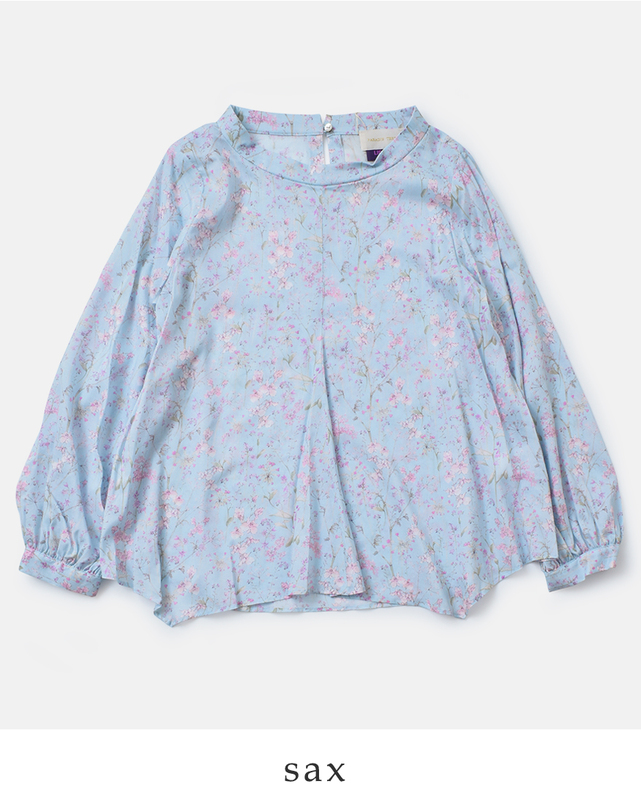 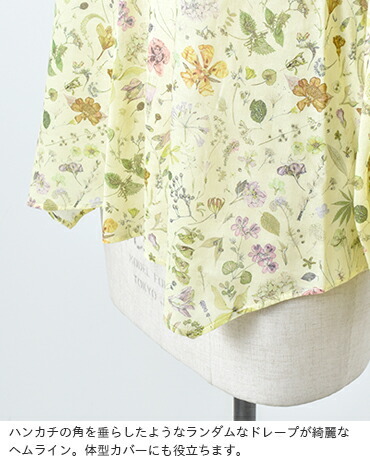 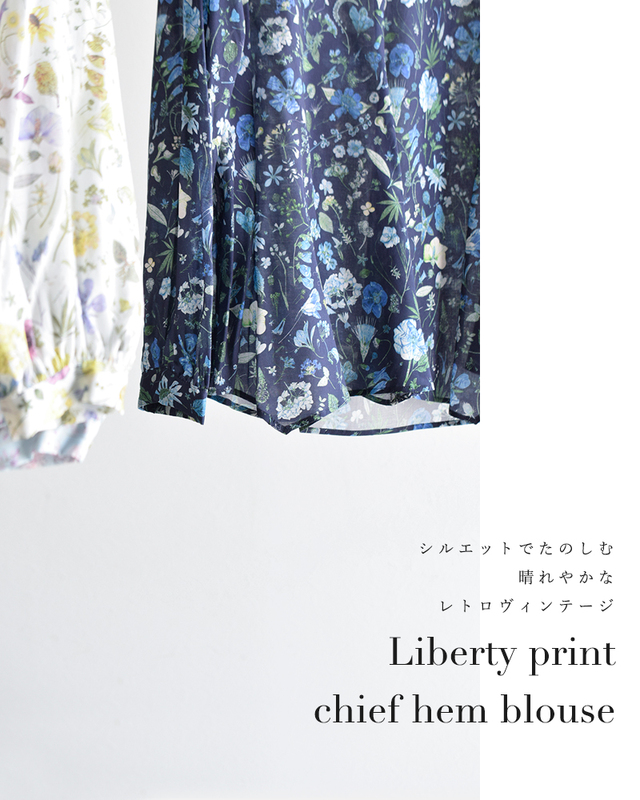 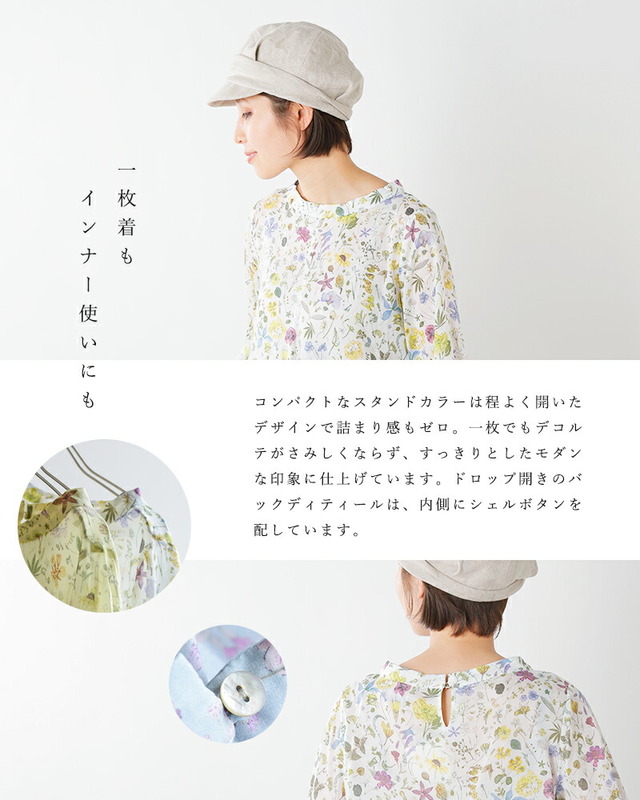 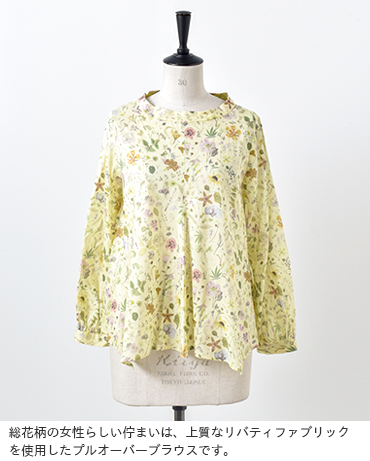 It is the introduction of the liberty handkerchief heme long sleeves blouse than PARADIS TERRE (Palade tale). 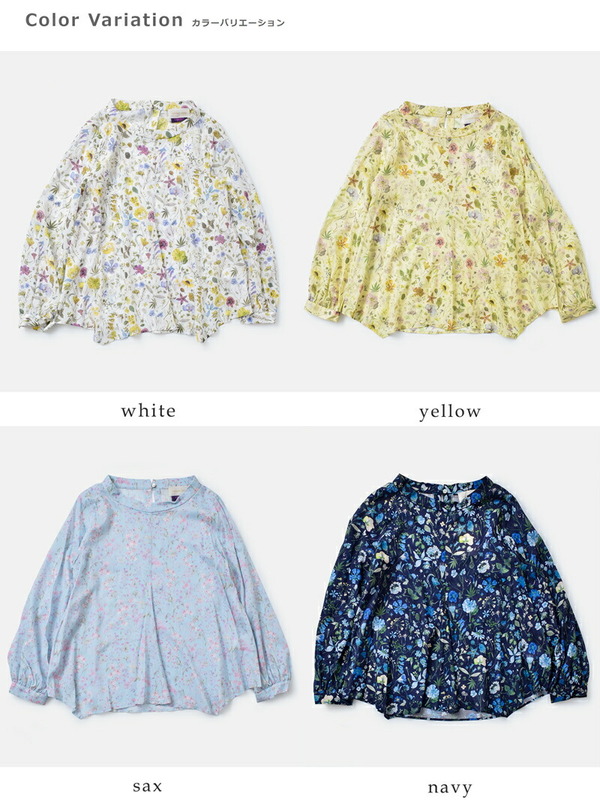 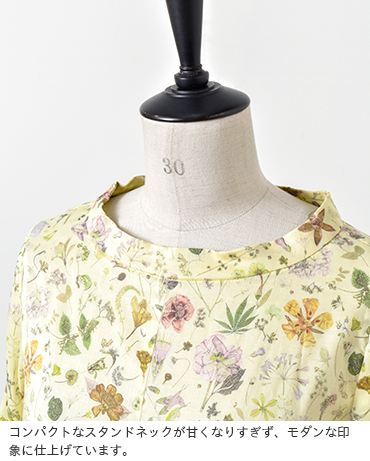 Using British Liberty print dough, I prepare it to a pullover blouse of the millefleurs which I want to dress well to a nostalgic vintage. 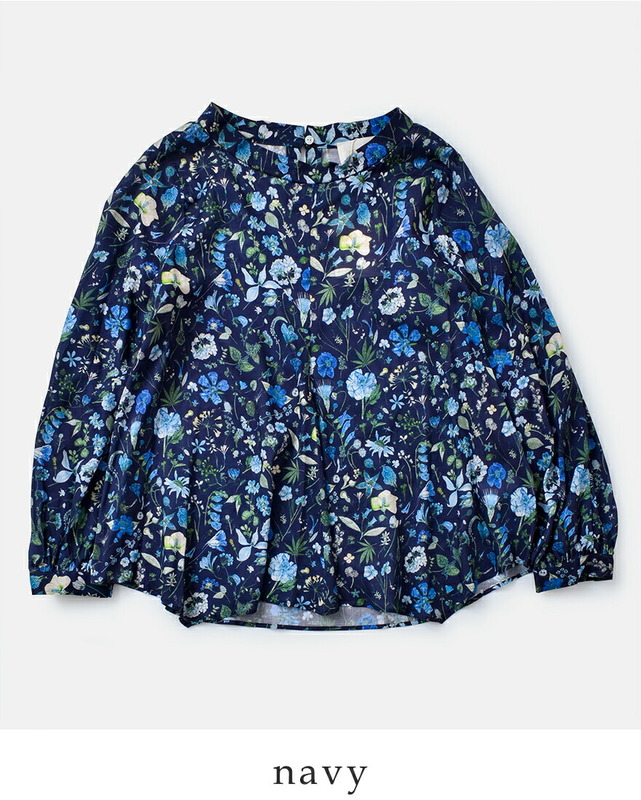 The design which the random hemline that hung down the corner of the handkerchief brings about movement, and a beautiful feeling of drape and silhouette can enjoy. 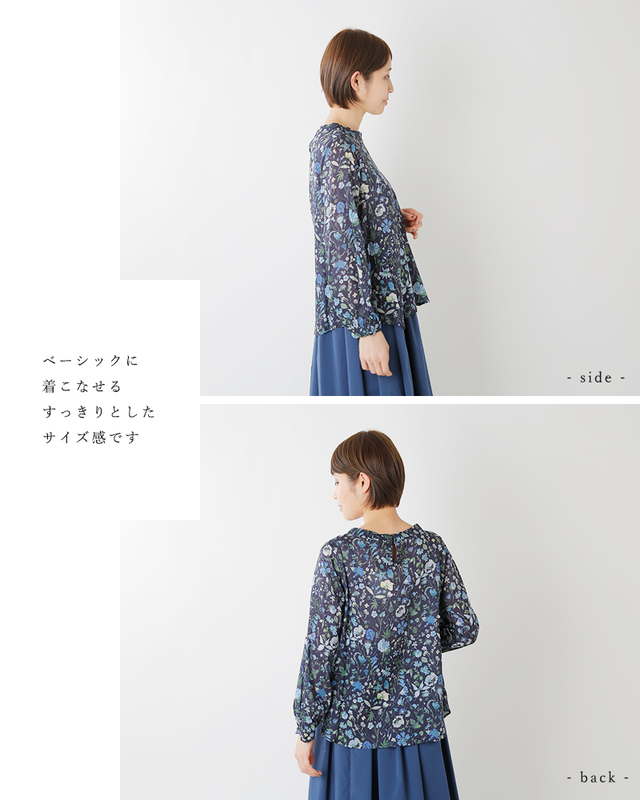 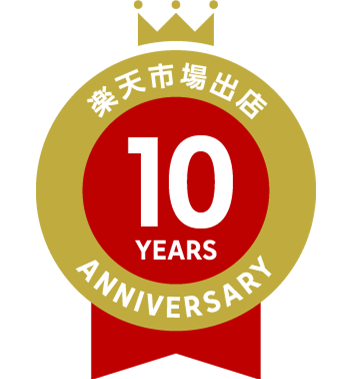 It is one piece that it is easy to use as an inner for jacket with good comfort slipping over skin lightly. 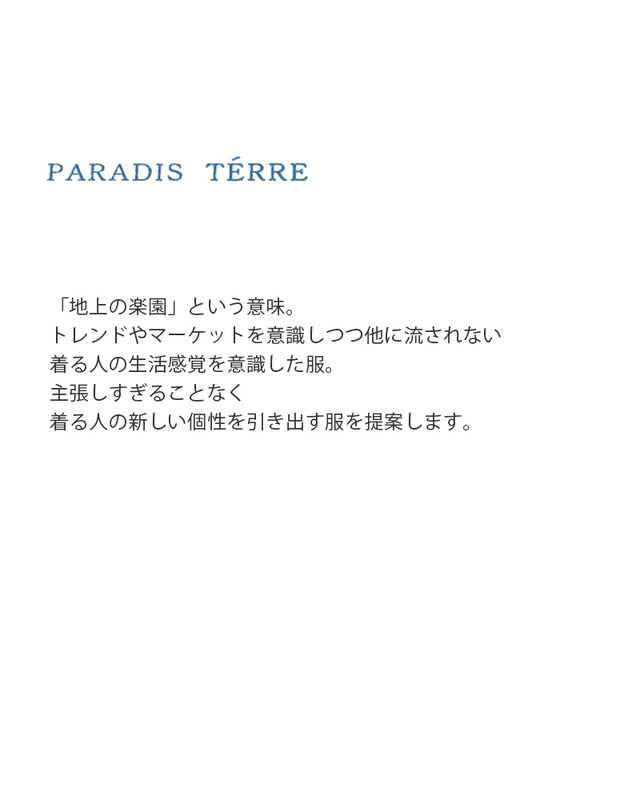 PARADIS TERRE A meaning called "ground paradise." 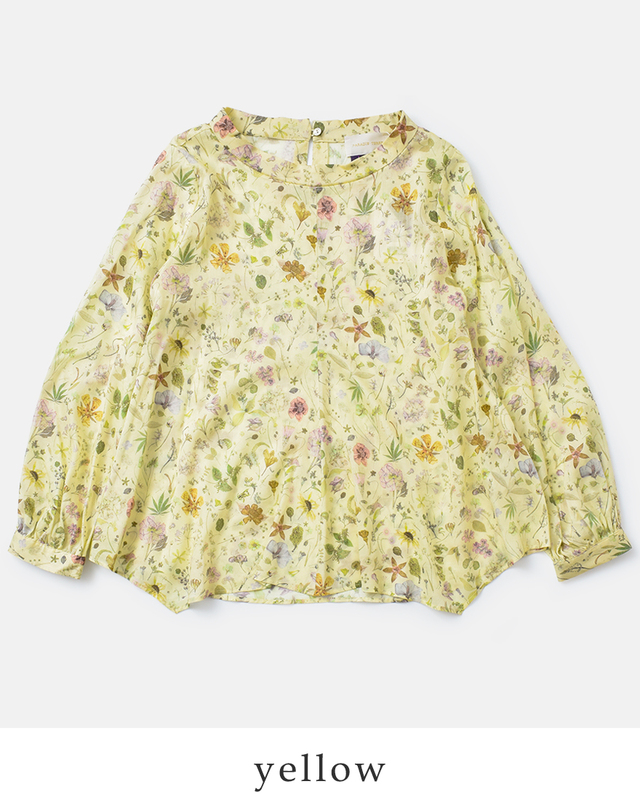 Clothes being aware of the life sense of the person who wore it who was not washed down elsewhere while being conscious of a trend and a market. 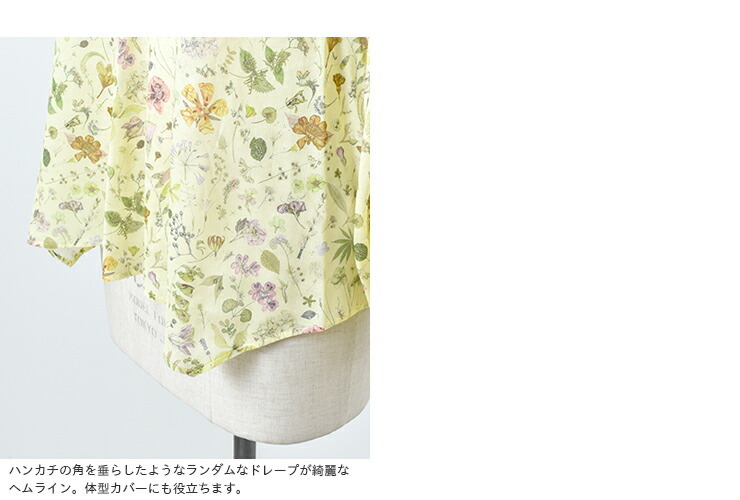 I suggest clothes drawing the new individuality of the person who wears it without insisting too much.